A number of one-time funding measures will help stave off potentially crippling cuts to K-12 education, health care and other core services as part of a budget deal announced Tuesday by Gov. Mary Fallin and legislative leaders. But some key lawmakers said the agreement, which will need to pass the Legislature by the end of the session on Friday, only delays the need for more painful reductions and could create more financial troubles when the Legislature returns next year. The $6.8 billion spending plan for the fiscal year that begins July 1 includes a mix of spending cuts and recurring savings to close the state’s $1.3 billion budget shortfall. But it also hinges on one-time funding moves, including borrowing $200 million through road bonds and tapping $144 million from the state’s “Rainy Day Fund” to balance the budget. The road bonds, however, won’t be used to finance new, previously unfunded transportation projects. Instead, they’ll be used to free up appropriated money to offset cuts that would have occurred elsewhere in the state’s budget. Rep. Richard Morrissette, D-Oklahoma City, called this a “sleight of hand” that will only hurt the state in the future. Some Republicans, including Senate Finance Committee Chairman Mike Mazzei, R-Tulsa, expressed similar reservations, saying one-time revenue fixes weren’t the best way to address the state’s structural budget problems. Senate Appropriations Chairman Clark Jolley, R-Edmond, said that like many other conservative lawmakers, he was not “overly happy” with the need to borrow that much money to balance the books. But Jolley noted that the Legislature was running out of options and time to craft the spending plan. He said many of his concerns were minimized after gaining assurances from the state’s bond advisor that the additional debt wouldn’t hurt the state’s credit rating. Jolley said he believes the Legislature has been “aggressive” in pursuing bills to eliminate or cap tax credits and raise recurring revenues. 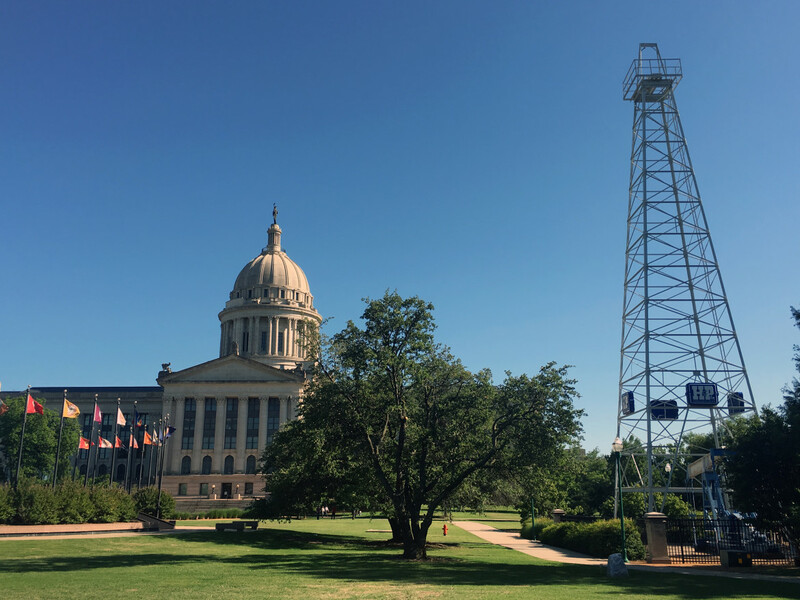 Rep. Earl Sears, R-Bartlesville, who chairs the House Appropriations and Budget Committee, said the package of revenue-raising bills moving through the Legislature would provide continuing help for future budgets. He said he is optimistic that the state’s revenue picture will improve as the economy turns around. Other lawmakers, meanwhile, said the Legislature hasn’t done enough this year. Earlier in the session, lawmakers voted down a proposal that would have yielded a projected $158 million next fiscal year and $190 million the following year by increasing the cigarette tax by $1.50 a pack. That proposal, however, fell victim to political posturing, partisan bickering and intense special-interest lobbying. Democrats also criticized Republican legislative leaders for failing to allow a vote on a Medicaid expansion plan, which would have opened the door to hundreds of millions of federal dollars with a 9-to-1 state match. Sparks said he is also upset the Legislature didn’t consider a proposal to roll back the most recent cut in the top income tax rate. That would have saved the state about $150 million next year. Sparks said he hasn’t talked with a single Democratic lawmaker who plans to vote for the budget. But since the budget just needs a simple majority to be sent to the governor, Republicans might not need Democrats’ support. The budget bill is expected to be heard Wednesday on the Senate floor and Friday – the last day of the session – on the House floor. If there is a holdup in either chamber, the Legislature would be forced into a special session to reconsider the budget. That is something Morrissette said he hopes will happen.